PT Bank Central Asia Tbk - BCA (IDX:BBCA) or referred to as "Bank BCA" is among the largest Indonesian commercial banks. The Bank is positioned inside the top three of Indonesian banks in terms of total assets with a total assets of Rp 594,373 billion as at the end of December 2015. 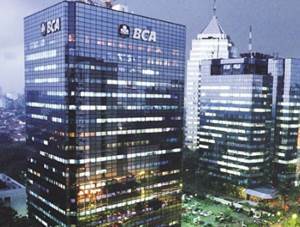 Bank BCA is based in Jakarta and runs its business through 1,182 outlets and 17,081 proprietary ATMs spread across Indonesia. Bank BCA also supported by 7 directly-owned subsidiary companies; namely PT BCA Finance, BCA Finance Limited, PT Bank BCA Syariah, PT BCA Sekuritas, PT Asuransi Umum BCA, PT Central Sentosa Finance and PT Asuransi Jiwa BCA. The financial performance of Bank BCA in 2015 showed a good improvement. According to PT Bank Central Asia Tbk Annual Report 2015 as cited by JobsCDC.com, the Bank successfully recorded a total net profit of Rp 18,019 billion in 2015, with a noticeable increase of 9.29% from Rp 16,486 billion in the same period at previous year (2014). Have a high interest to develop themselves in the Banking industry. Proactive and have high initiative. Have an incentive to constantly improve ourselves. S1 or S2 from a leading universities (local or overseas). Both experienced and fresh graduate candidates are highly welcome. Fresh graduate : possess a minimum cumulative GPA of 3.50 on a 4.00 grade scale (for S1) or 3.60 on a 4.00 grade scale (for S2), achievement and Actively involved in organization/extracurricular activities (academic / non academic). Experience: maximum 2 years of experience, with a minimum GPA of 3.25 on a 4.00 grade scale (for S1) or 3.50 on a 4.00 grade scale (for S2). Maximum age of 25 years old for S1 and 27 years old for S2. JobsCDC.com now available on android device. Download now on Google Play here. Please be aware of recruitment fraud. The entire stage of this selection process is free of charge. PT Bank Central Asia Tbk - Recruitment Fresh Graduate Banker Program BCA June 2016 will never ask for fees or upfront payments for any purposes during the recruitment process such as transportation and accommodation.